Trump Blasts Damning White House Memoir Claiming Melania Is… Super Supportive & Enjoys Being First Lady? 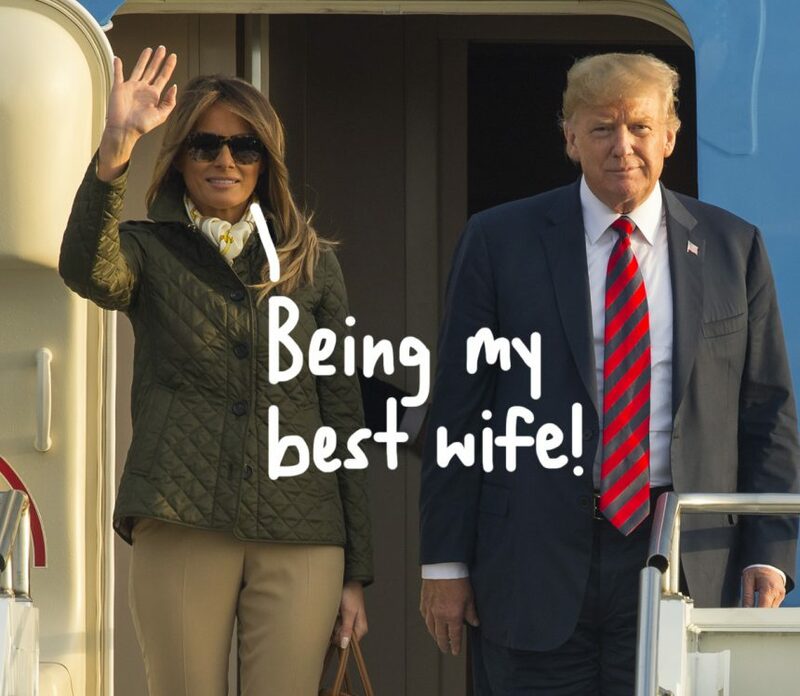 Home › Melania Trump › Trump Blasts Damning White House Memoir Claiming Melania Is… Super Supportive & Enjoys Being First Lady? By now, many of us view Melania Trump as a helpless Slovenian princess locked in a castle against her will after making a bad deal with a bridge troll. But according to a new memoir from a former White House staffer, the elusive First Lady is far from Donald Trump’s prisoner. Apparently, she’s his biggest cheerleader! In his freshly-released memoir, Team of Vipers, ex-staffer Cliff Sims paints a much different image of FLOTUS than what most have envisioned: the former model who avoids her husband, slaps his hands away, and forces a pained smile when he looks at her. Related: Donald Trump Jr. Doesn’t Know What ‘SNL’ & Twitter Can’t! While Sims has no problem blasting the president and the carnival that is his White House in the memoir, he makes a point to fully defend FLOTUS. Video: Melania’s White House Christmas Display Is SO ‘Handmaid’s Tale’! In contrast to other memoirs, like Michael Wolff’s book Fire and Fury, that claimed the mother-of-one was in joyless “tears” after her husband won on election night, Sims claims Melania was actually super supportive. Well, there you have it: supportive Melania is just a work of fiction.